« Who is David Duke? It is easy to become depressed about the state of the world right now. We have what are probably the worst two candidates running for president in this election. The whole world seems to be falling apart and terrorist attacks are starting to become a daily occurrence in Europe and America and our leaders express confusion over their motives; obviously Islam has nothing to do with the Islamic State. The economy seems to be stagnant with the 1% getting ever richer and the rest of us struggling to keep in place. But this kind of thinking is misleading. We do have problems, yet in so many ways, life in the twenty-first century is better than it has ever been. Our lives are far more comfortable in almost every material sense than those of the people who lived a century ago, thanks to the enormous progress we have made in science and technology. The day-to-day bad news, which tends to depress us, is really a distraction from all the amazing discoveries and inventions that will be changing our lives over the rest of the century. Here’s a story I read in the Wall Street Journal about one of these discoveries. By manipulating the interactions between individual atoms, scientists report they have created a device that can pack hundreds of times more information per square inch than the best currently available data-storage technologies. The working prototype is part of a decades-long attempt to shrink electronics down to the atomic level, a feat scientists believe would allow them to store information much more efficiently, in less space and more cheaply. By comparison, tech companies today build warehouse-sized data centers to store the billions of photos, videos and posts consumers upload to the internet daily. Corporations including International Business Machines Corp. and Hewlett Packard Enterprise Co. also have explored research to reduce such space needs. The so-called atomic-scale memory, described in a paper published on Monday in the scientific journal Nature Nanotechnology, can hold one kilobyte, the equivalent of roughly a paragraph of text. Most previous attempts at encoding information with atoms, including his own, managed roughly one byte, Dr. Himpsel said. And data could be stored only once. To store new information, the “disk” had to be re-formatted, like CD-Rs popular in the ’90s. With the new device, “we can rewrite it as often as we like,” said Sander Otte, an experimental physicist at Delft University of Technology in the Netherlands and the lead author on the new paper. They can actually arrange individual atoms. When I was growing up, no one had ever seen an atom. They were too small to be imaged, even by electron microscopes. Scientists did not invent the scanning tunneling microscope, which allows individual atoms to be “seen” and manipulated until the 1980’s. The team also crafted a language for their device. The stored information is encoded in the patterns of holes between atoms. 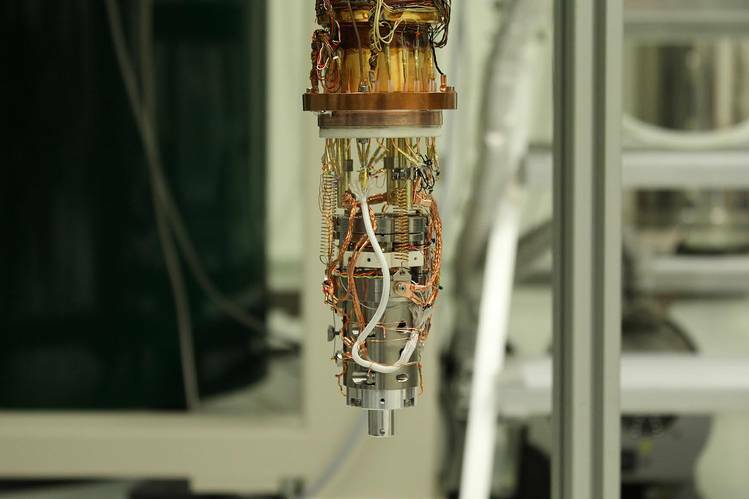 The atom-tugging needle reads them as ones and zeros, turning them into regular binary code. The researchers marked up the grid with instructions that cued the software where it should direct the needle to write and read data. For instance, a three-hole diagonal line marked the end of a file. They still have a lot of work to do before our computers come equipped with an atomic hard drive. Writing the initial data to the device took about a week, though the rewriting process takes just a few hours, Dr. Otte said. Reading the stored data is much too slow to have practical applications soon. Plus, the device is stable for only a few hours at extremely low temperatures. To be competitive with today’s hard drives, the memory would have to persist for years and work in warmer temperatures, said Victor Zhirnov, chief scientist at the Semiconductor Research Corp., a research consortium based in Durham, N.C. When Dr. Otte’s team took the memory out of the extremely low-temperature environment in which it was built and stored, the information it held was lost. Next, his team will explore other metal surfaces as well as elements similar to, but heavier than, chlorine, to see if that improves the device’s stability. But, maybe it will happen sooner than we think. We truly live in a brave new world. If only we stop ourselves from messing everything up. This entry was posted on August 16, 2016 at 1:11 pm and is filed under Physics, Science, What's Happening. You can follow any responses to this entry through the RSS 2.0 feed. You can leave a response, or trackback from your own site.